Want to get more from your mobile data plan? If you’re an Android user, here are some data saving tips to help you. The newest Android operating system, Nougat, was recently made available on selected phones, including some Nexus models. Nougat comes with a data savings feature that I tested out last week. 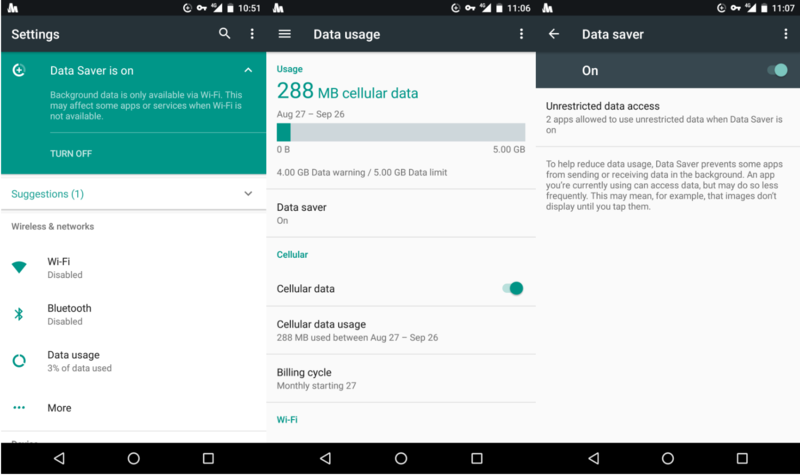 One of Android Nougat’s best features is the Data Saver, a function that gives you more data saving options by blocking background data on mobile connections. This means less data being wasted since your Android apps will be unable to access data when you’re not actively using them or when the phone screen is off. All you have to do is activate the Data Saver in Settings. 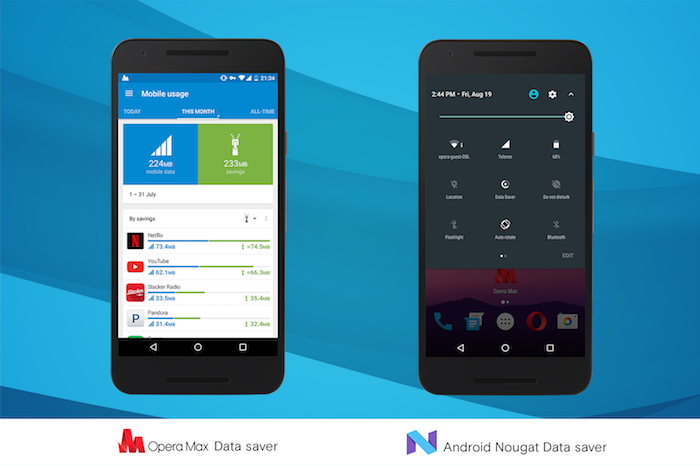 You don’t have to wait for Android Nougat’s Data Saver to prevent data wastage. 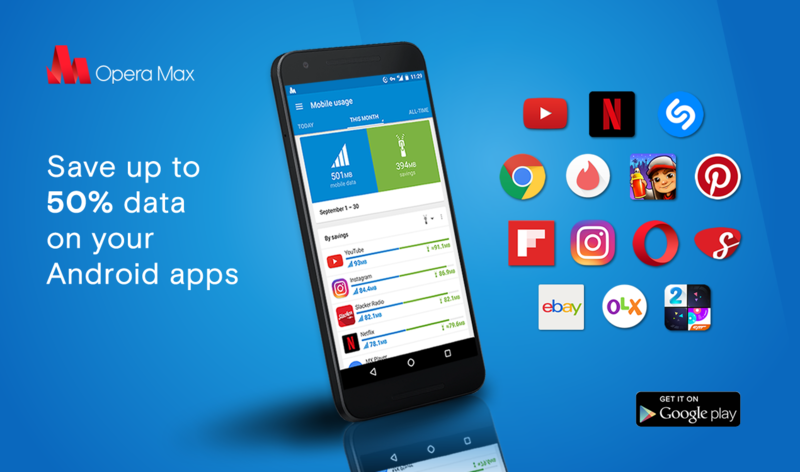 Our free data saving and data management app, Opera Max, can help you save data across your Android device. Apparently, in average 30% of your mobile data is wasted on apps running in the background. So, getting control of your background data could save you those precious MBs on your data plan. 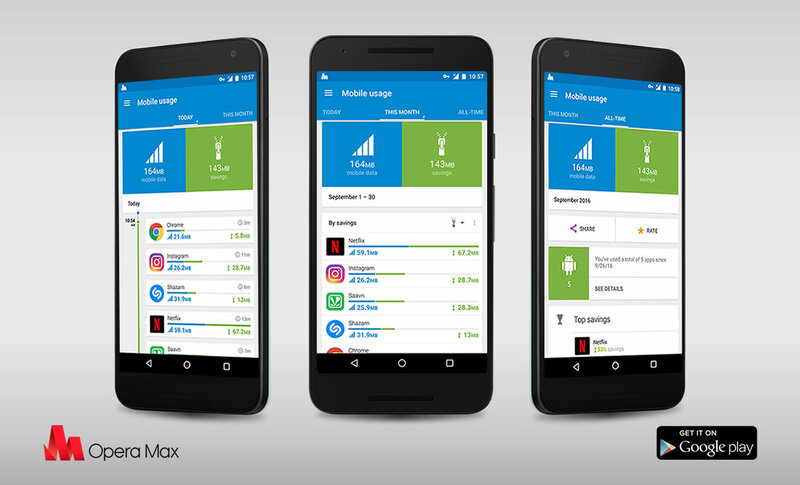 Opera Max will save you loads of data when using media-rich apps like YouTube, Instagram and Slacker Radio. And, best of all, it is available on any Android device running a platform above 4.0. Download this excellent data savings app for free on Google Play and take it for a spin. OS features and apps are not the only way to go if you’re concerned about data savings. Some mobile browsers compress your data when loading pages or allow you to view content offline. Take Opera Mini, for example, which lets you download videos from some social media and news websites. 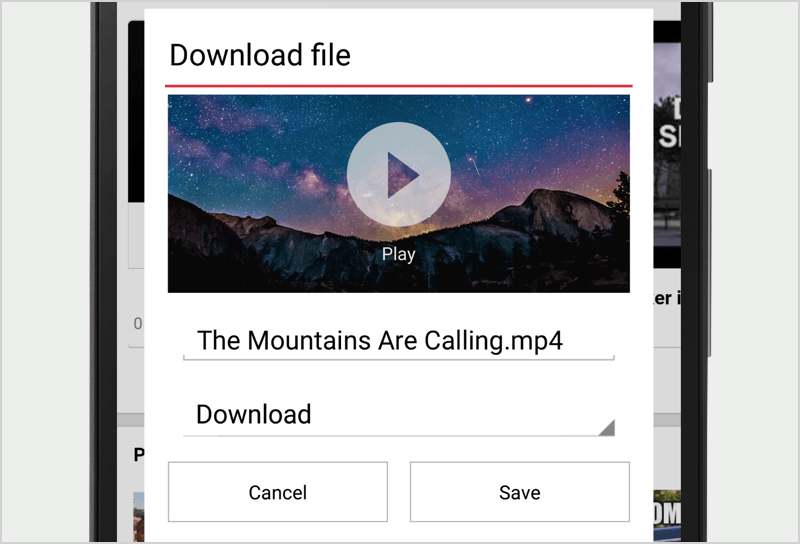 Save a video to your phone and watch it anytime without consuming extra MBs. Do you have some more data saving tips to add to this list? Drop us a line in the comments!